In around 1854, the parishes of Dull, Fortingall, Kenmore, Killin and Weem decided to join to form the Weem Combination and erect a poorhouse, although progress with the building appears to have stalled for a number of years. By 1861, the Combination had expanded to include Blair-Athole, Dowally, Little Dunkeld, Logierait, Moulin. The following year, the parish of Caputh had joined and the Combination had become the Athole (or Atholl) and Breadalbane Combination. The total population of the member parishes in 1881 was 18,347. The building comprised a long single block of three storeys with gable attics. Athole and Breadalbane from the south-west, 2001. The bell that governed the lives of the poorhouse inmates still hangs at the front of the building. 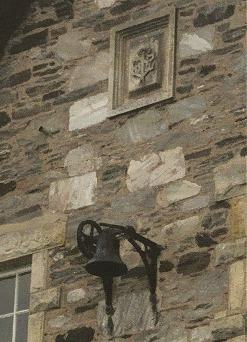 Athole and Breadalbane bell, 2001. Athole and Breadalbane from the north-east, 2001. 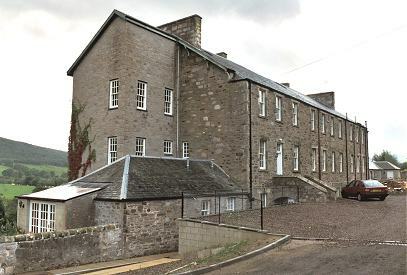 The poorhouse later became a Public Assistance Institution known as the Cuil-an-Daraich Home. In 1946, its accommodation included 10 chronic sick beds and 8 certified mental cases. After 1948, it provided residential accommodation for old, infirm, or handicapped people. 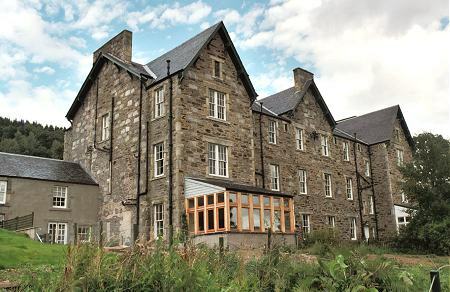 The former poorhouse building has now been converted for use as housing and as a guest-house. In around 1884, the parish of Kenmore erected an almshouse as a result of money received. The property was situated just to the west of Acharn. In 1904, the property was recorded as being able to accommodate one man and six women. Perth and Kinross Council Archive, AK Bell Library, 2-8 York Place, Perth PH2 8EP. Holdings include: Poorhouse minutes (1859-76, 1895-1923, 1953-75); Inmate registers (1864-1954); Registers of admission and discharges (1894-1976); Offence and punishment book (1864-1903); Daily diet books (1919, 1943-46); Medical certificates and orders for admittance (1894-1909).